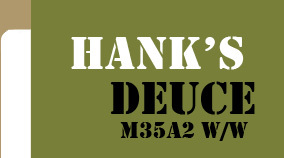 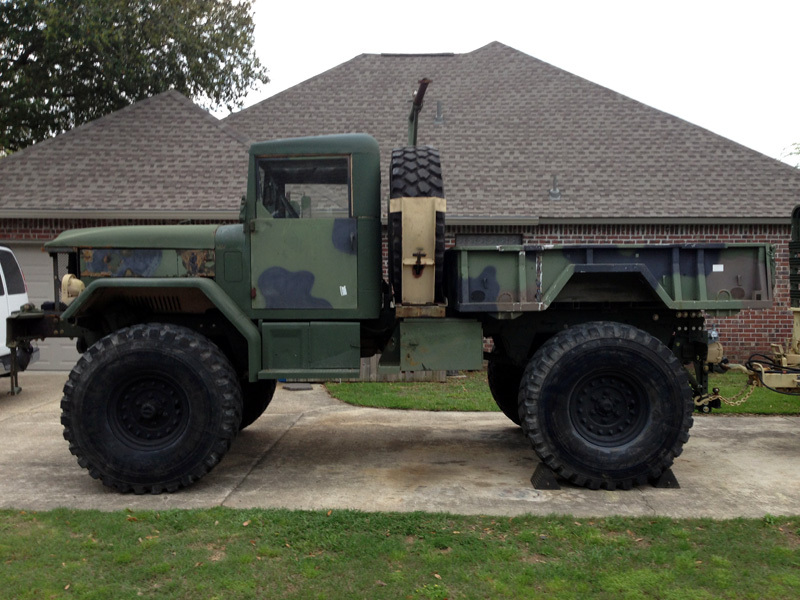 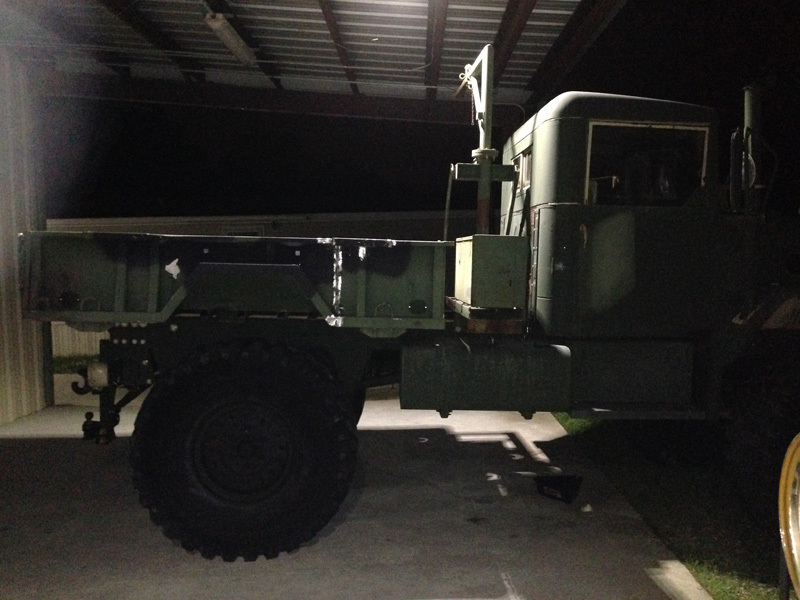 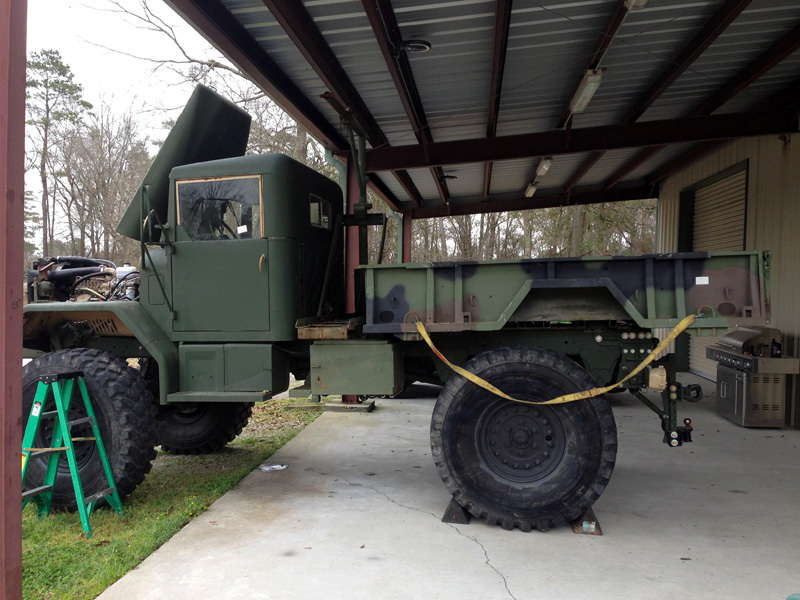 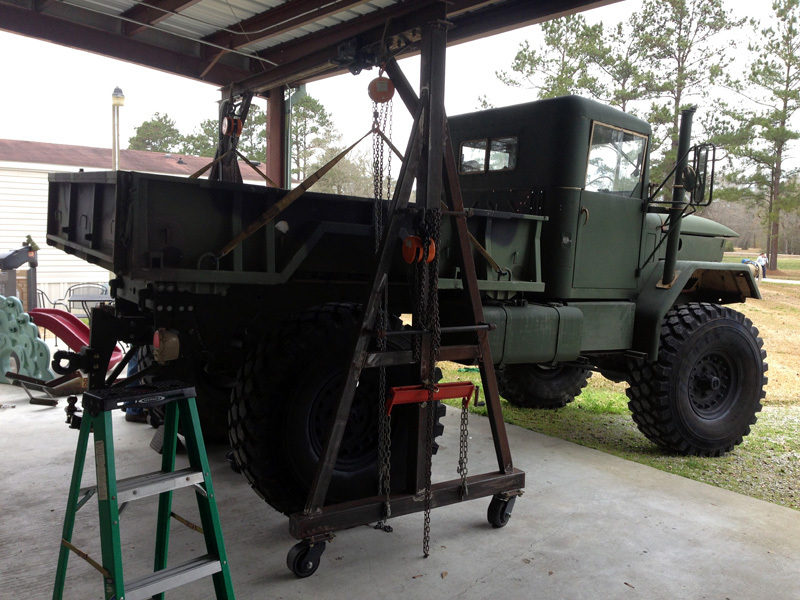 Since I put the 5 ton spare tire rack behind the cab I needed to do something about the M105A2 bed that I had installed previously. 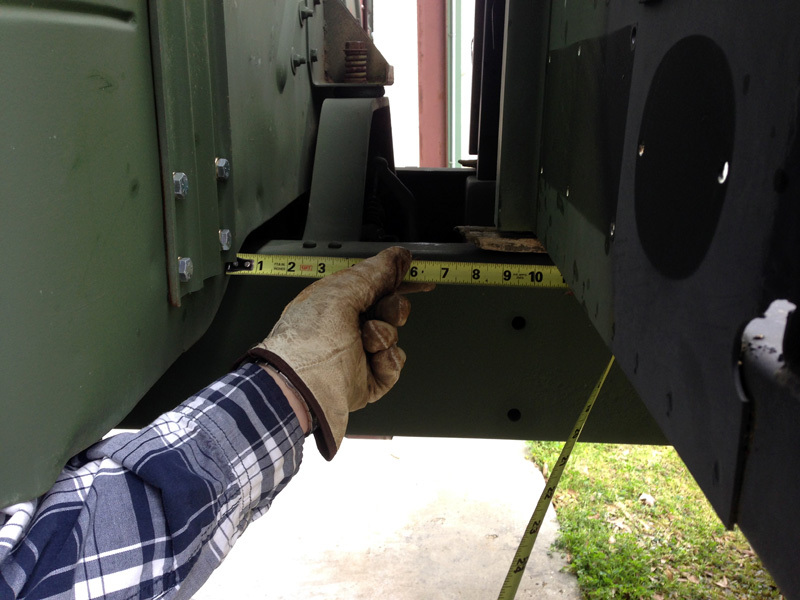 After a few measurements were taken we determined that 13-3/4 inches needed to be taken out of the bed to make room for the spare tire rack assembly. 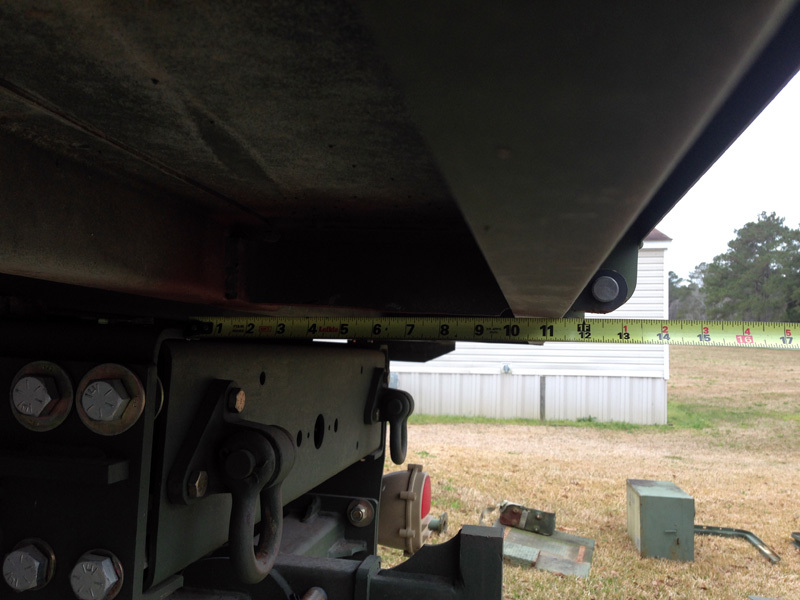 The rear overhang of the bed stayed the same, so we took the 13-3/4 inches out of the front of the bed. 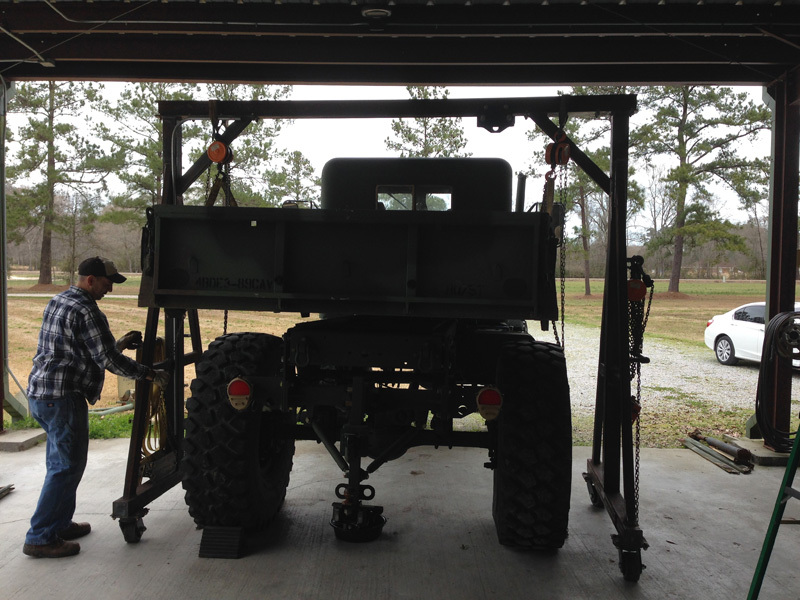 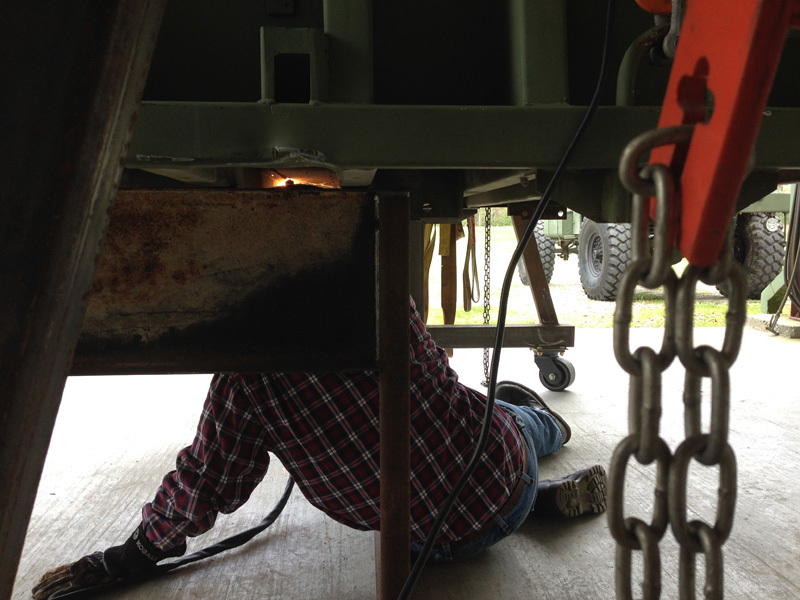 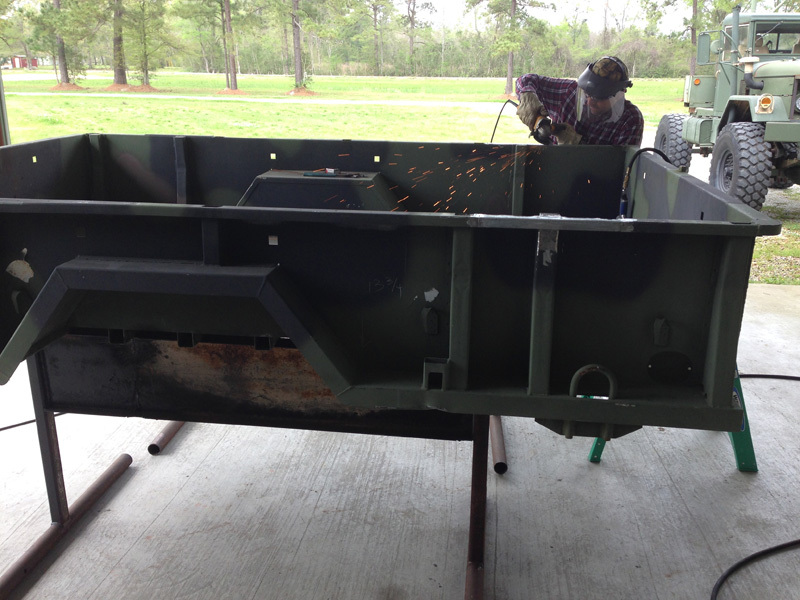 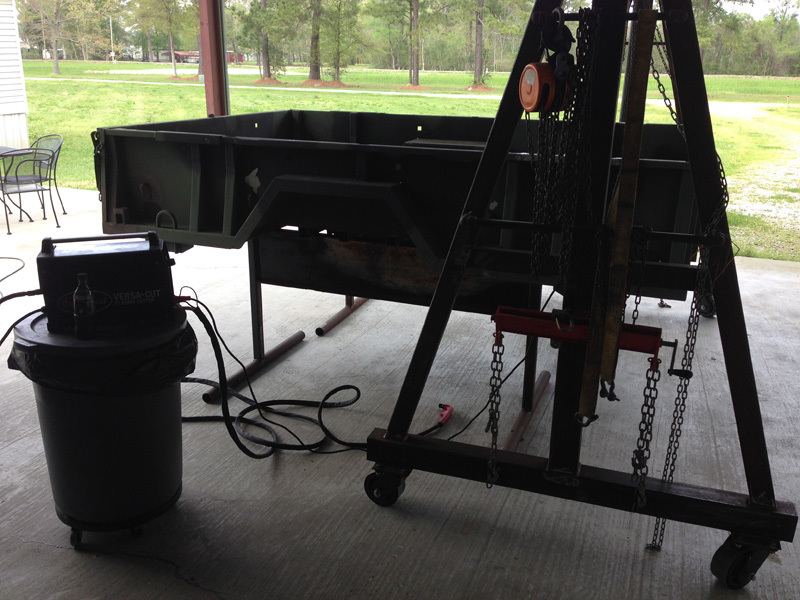 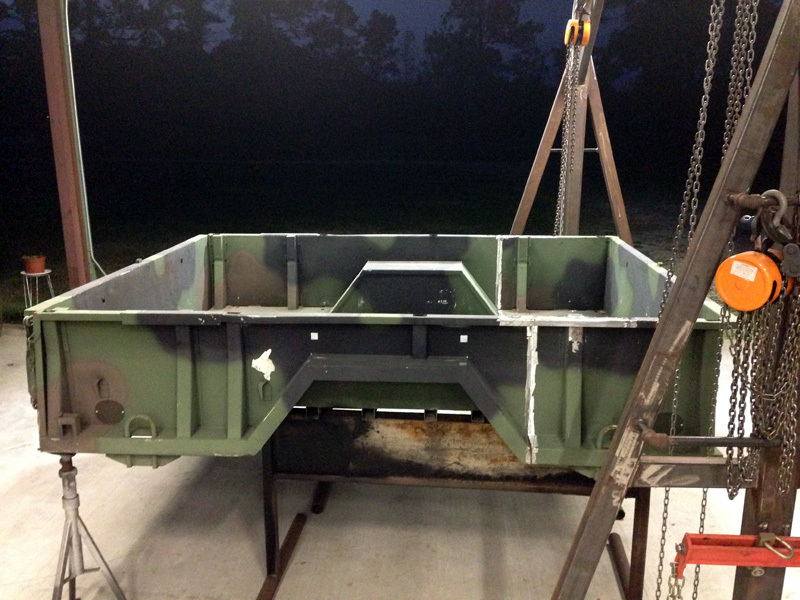 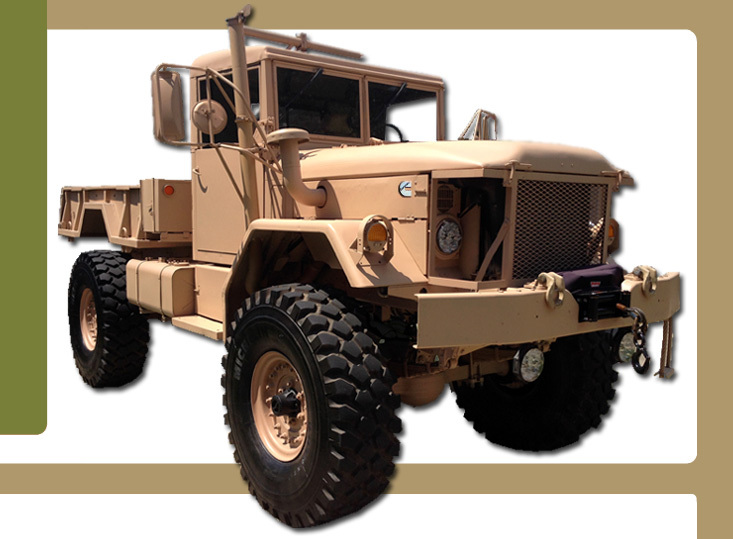 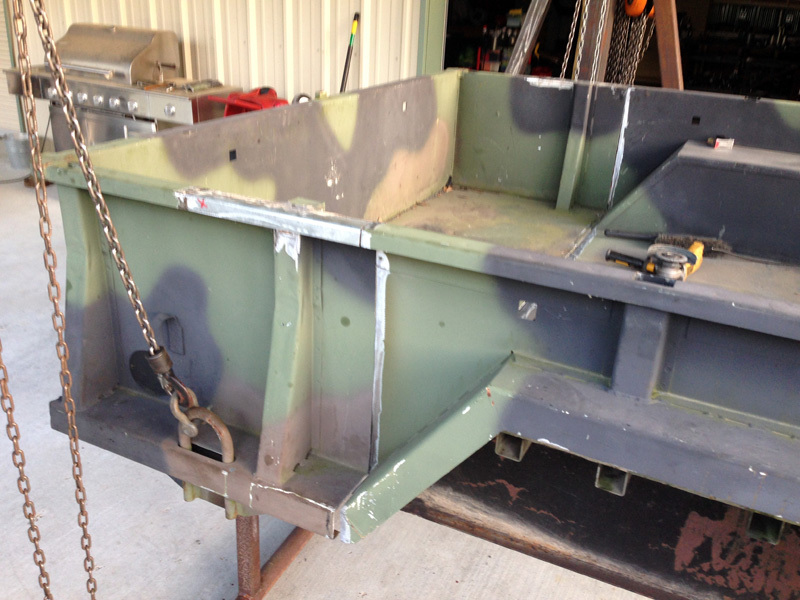 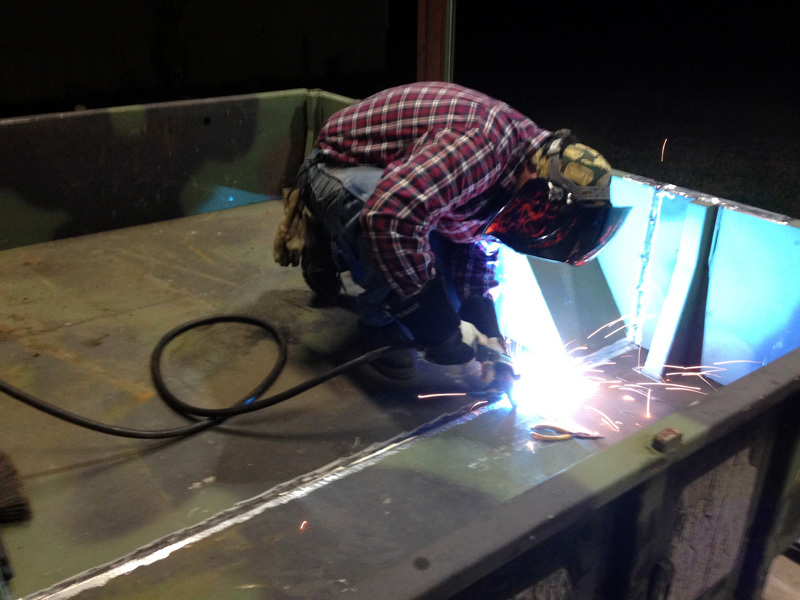 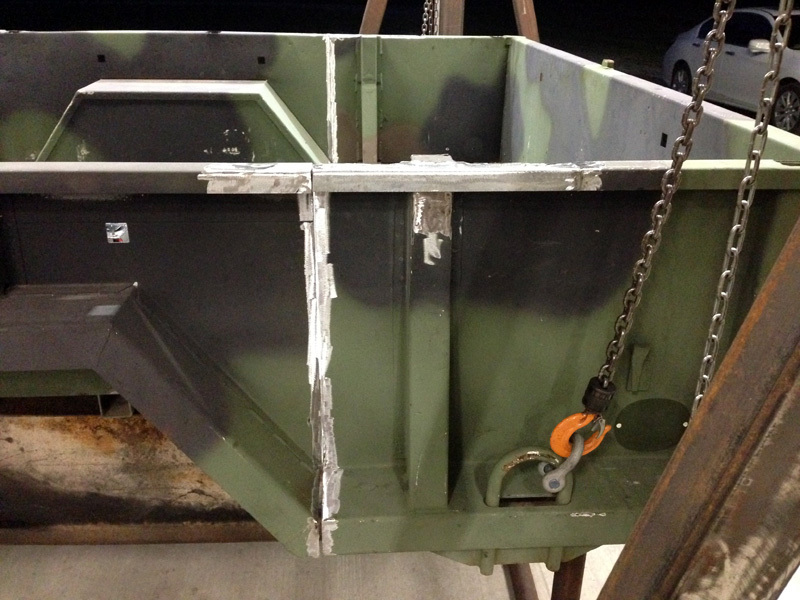 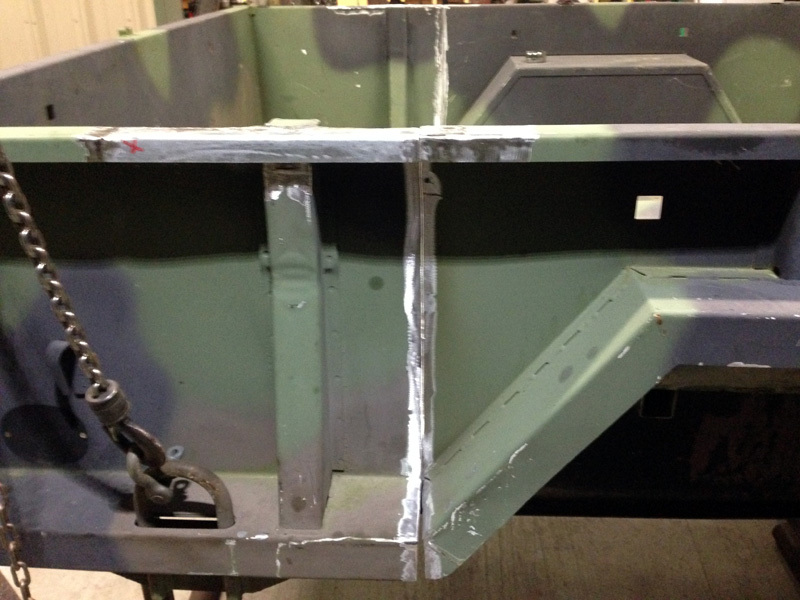 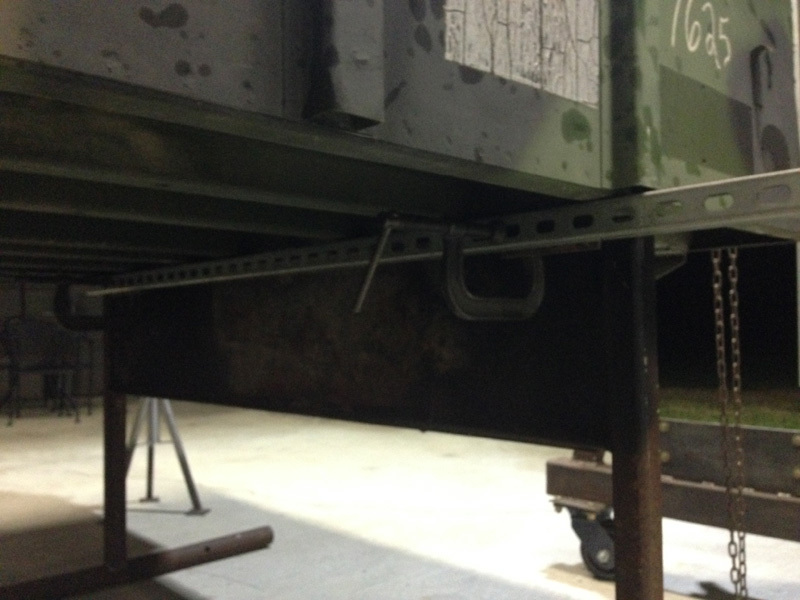 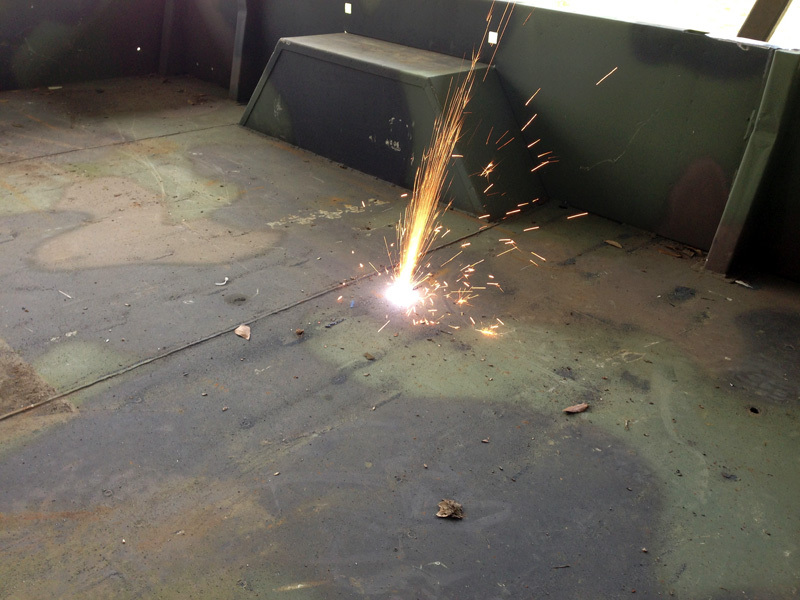 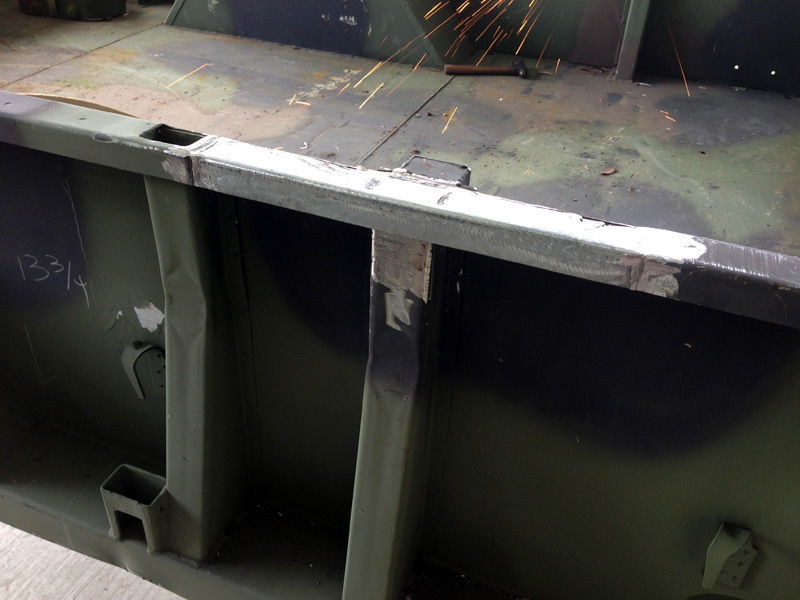 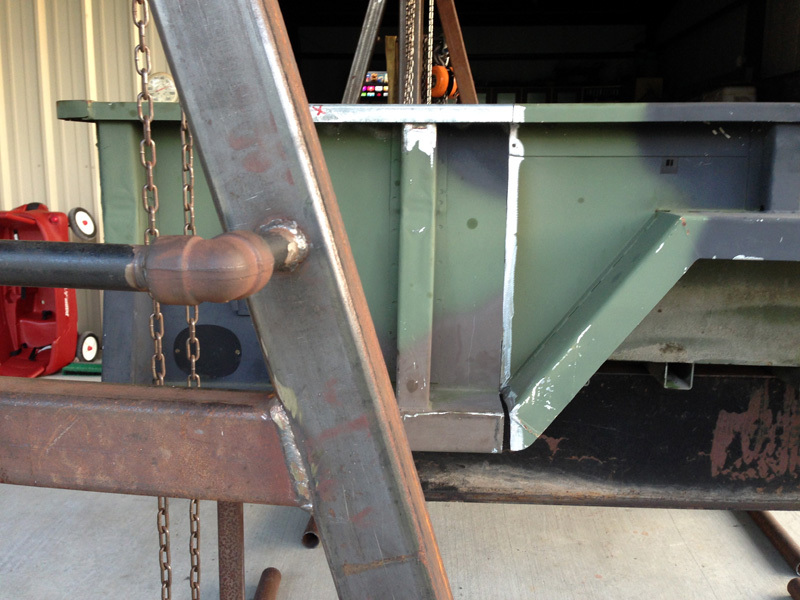 There are 2 factory weld seams on the M105A2 trailer bed floor, so we chose the front weld seam to use as a guide. 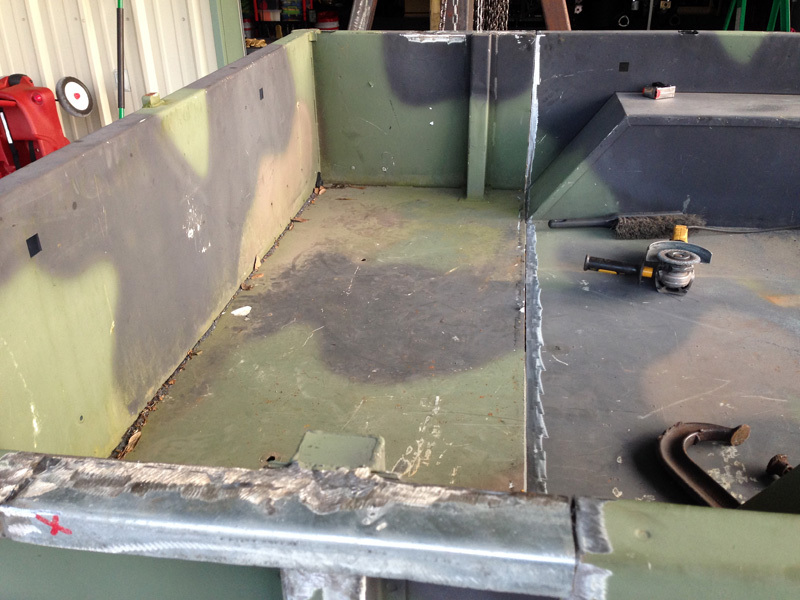 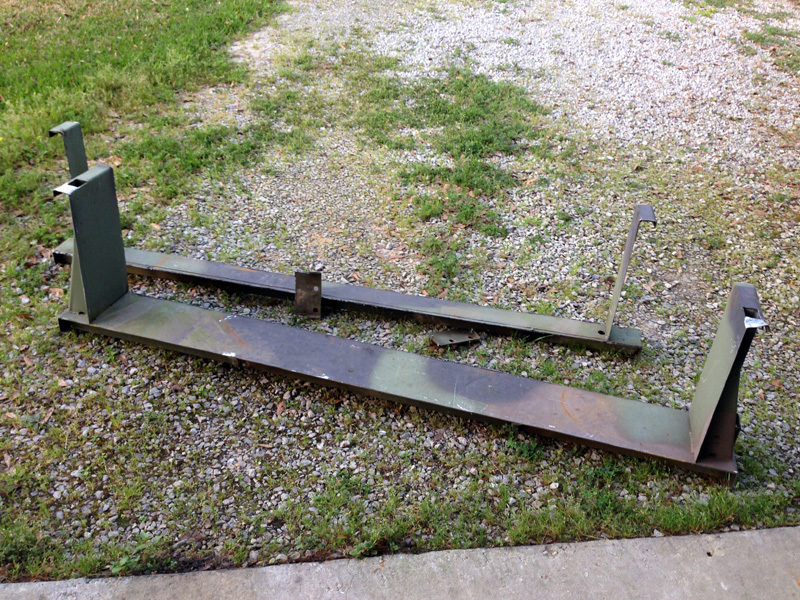 A plasma torch was used to cut the bed into 2 pieces after the top rail reinforcement plates were removed. 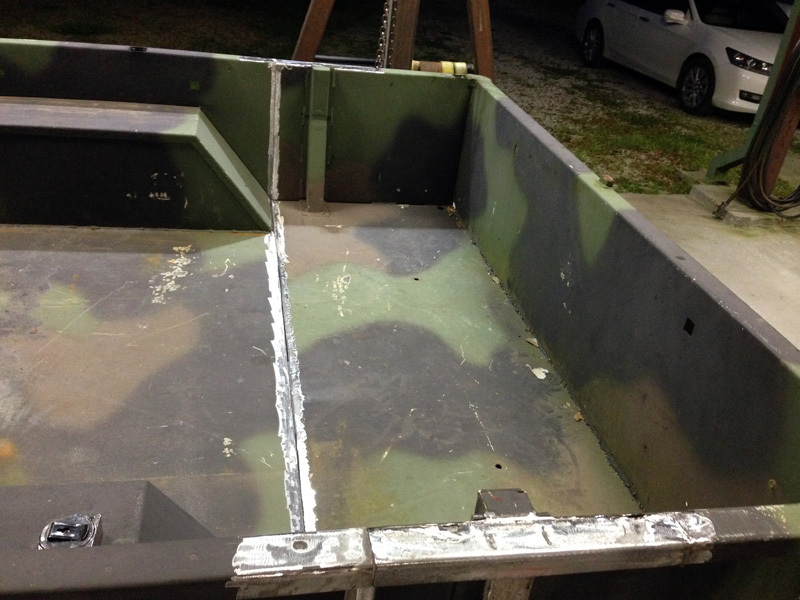 The floor seam was welded back with a MIG, but the side walls needed a little finer touch, so in comes a pair of steady hands with a TIG welder. 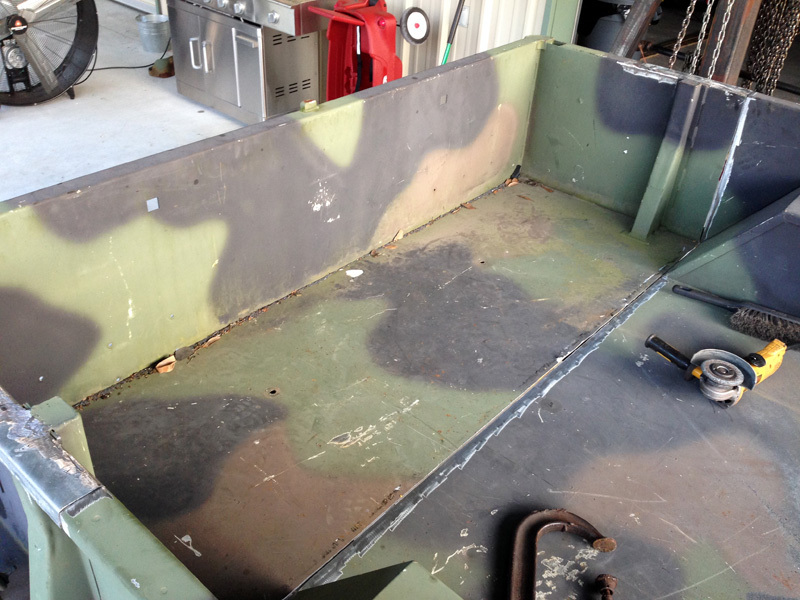 Many thanks to John Allison, the fabricator that did 99.9% of the work you see here.